When you’re out on the road, the radio plays, and you often sing along to the music. Unfortunately, the joyride quickly comes to a halt when you get in an accident. To get back to your normal routine in a timely manner, you need a convenient way to transport and repair your vehicle near Olympia, WA. Capital Collision Center allows you to do just that. If you’re one of those people who love your vehicle, you’ll want to avoid a company that provides slow towing and mediocre bodywork. Instead, choose Capital Collision Center for a comprehensive approach to the post-collision process. When you rely on Capital Collision Center, you’ll obtain quick towing services to our shop, where we'll handle repairs and restore your vehicle to its pre-collision condition. 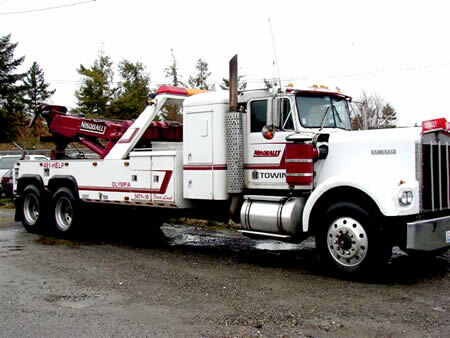 Although some collision towing services only transport small to mid-sized cars, we tow all types of vehicles. At Capital Collision Center, we focus and your vehicle’s needs as well as your own. This is why we also provide shuttling services so you and your car receive transportation to the necessary places. We also have a comfortable waiting room where you can relax while we work on your automobile. For instance, if you depend on your car to get around, we offer a shuttle service—we'll transport you safely from our garage to your home between 8 a.m. and 4 p.m. We can arrange a rental car for your use if you have your insurance claim number. We finish your repairs quickly and efficiently to reunite you with your car or truck. When you choose us for towing and collision work, we’ll paint and perform body repairs on your car, truck, boat, or motorhome. Capital Collision Center takes pride in putting customer satisfaction first, which is why we offer 24/7 towing services near Olympia, WA. With over 30 years of experience, Capital Collision Center knows just how to take care of you. 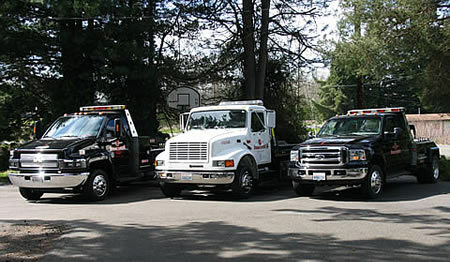 Contact Capital Collision Center for timely collision towing services near Olympia, WA at 360.357.5210 » today.